Are Virtual Reality Manicures the Future of the Nail Industry? “The Augmented Reality nail dream would act like a Snapchat face filter for nails – you hold up your hands in real time, in any light and on any background, and see a brand’s polish on your nails,” says WAH Nails owner Sharmadean Reid. 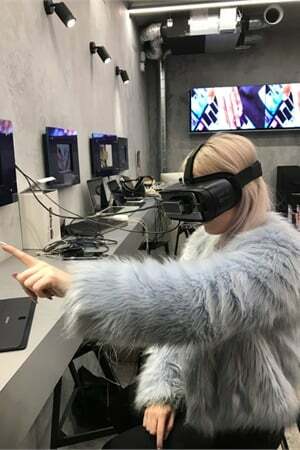 The WAH Nails Soho salon in London is ahead of the beauty industry curve; it’s recently implemented a Virtual Reality Nail Designer that allows customers to virtually create a nail art design that a nail tech can then execute in real life. Inspired by the many overwhelmed and indecisive customers who didn’t know where to start with the salon’s thousands of nail art options, salon owner Sharmadean Reid is transforming the manicure process with the help of DVTK, an immersive technology design studio. “The Augmented Reality nail dream would act like a Snapchat face filter for nails – you hold up your hands in real time, in any light and on any background, and see a brand’s polish on your nails,” Reid says. The technology isn’t quite at the point of “Snapchat face filter for Nails,” but the application far surpasses a typical salon's menu. 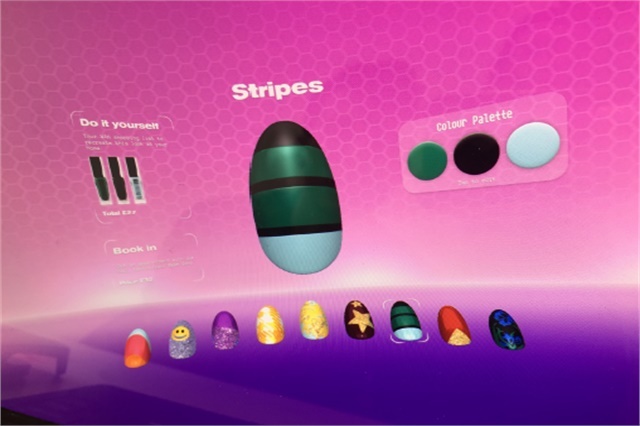 Customers wear an immersive headset that recognizes their hands’ movements in real time, allowing them to choose their skin color and then experiment with designs and colors until they’ve reached their ideal look for nail art. “Virtual Reality is an amazing way for us to ‘gameify’ the experience of getting your nails done in a visual language that our Gen-Z customers understand,” Reid says. Once users have left this virtual reality, they have three options: print their design on the WAH Nail Printer, order the polish colors they chose to be delivered to their door, or send the designs to a WAH nail tech, who can then professionally paint the design in-house. The virtual reality app only has nine design options, but the program creators explain that design options could eventually be infinite. The creators hope the Virtual Reality experience is straightforward for customers unfamiliar with immersive beauty tech and not too gimmicky. WAH Nails is a self-proclaimed “Salon of the Future,” a statement that, while bold, could be the new reality.